The Solange link style Rain Chain transports rain water with some splashing and is used in lieu of a downspout. 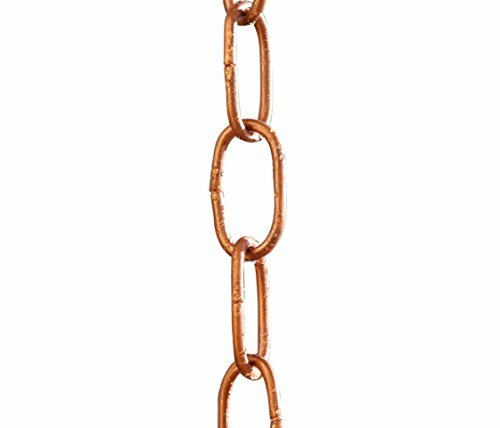 Links measure 2.25"X 1.25"
View More In Rain Chains. If you have any questions about this product by Monarch Rain Chains, contact us by completing and submitting the form below. If you are looking for a specif part number, please include it with your message.